This outfit kind of reminds me of mint chocolate chip ice cream. sequin on sequin on sequin! u can't ever go wrong..love this! Cute sequins blazer. just recently got a sequin blazer, waiting for occasion to wear it. LOVE mint - and that sequinned top is a stunner! Love the entire outfit and the sparkle from the jacket and top. Saw this shirt, absolutely amazing! Uuuuh this blazer is fantastic!!! def mint chocolate chip. my fav flavor! eautiful match of color ! I wait you also today on my blog to see my new makeup POST !!! A big Italian kiss ! Wow great outfit! Love the double sequins on top and the mint below. Just beautiful. love the color and the title. such a classy way to interpret mint chocolate chip. 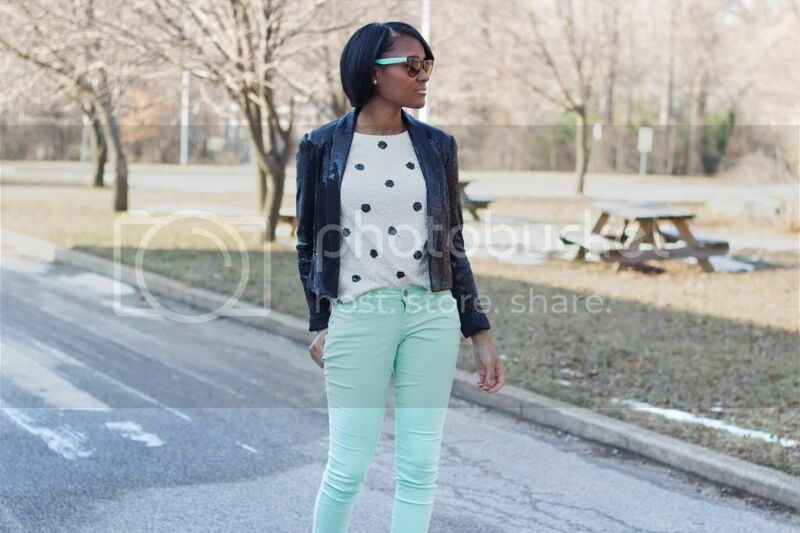 Love this outfit, you and mint chocolate chip! Great look!